Finding the motivation to leave the comfort of your couch (and air conditioning) in the 100-degree Austin heat can be difficult -- unless you're using ice cream as said motivation. 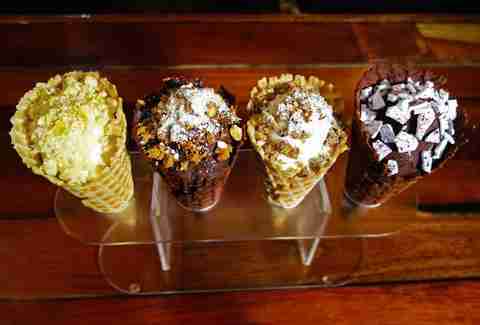 Specifically, these 12 places turning out the finest ice cream in the capital. The only thing better than ice cream is ice cream with booze in it, and while we’re blessed to live in a city where there are many fine establishments offering adult milkshakes, the good people at Prohibition Creamery elevate ice cream spiking to an art form. Founder Laura Aidan studied ice cream making at Penn State’s 120-year-old program, and her expertise shines through with innovative flavors like peach buttered rum or mezcal vanilla. Our favorite thing on the menu is the Deconstructed Old Fashioned with bourbon ice cream, Peychaud's bitters marshmallow, and a luxardo cherry. Designated drivers can stick to the equally delicious non-alcoholic options, like vanilla graham cracker or the vegan dark chocolate sorbet. This Zilker-adjacent food truck specializes in Thai-style rolled ice cream, made fresh and scraped into cylinders while you watch. The surprisingly hypnotic performance of scraping and folding produces a satisfyingly crispy ice crystal structure with the unctuous creaminess of organic whole milk, topped off with the fresh fruit, syrups, and cookie crumbles of your choice. The Thai iced coffee flavor (coffee bean- and cardamom-flavored ice cream topped with a swirl of whole milk) is the perfect afternoon pick-me-up after a dip in Barton Springs. This mini-mall standby is best known for its homemade paletas (Michoacán-style popsicles with a refreshingly icy texture), and with flavors like strawberries and cream, bubblegum, rice pudding, and the surprisingly compelling avocado and cheese, it’s hard to go wrong. 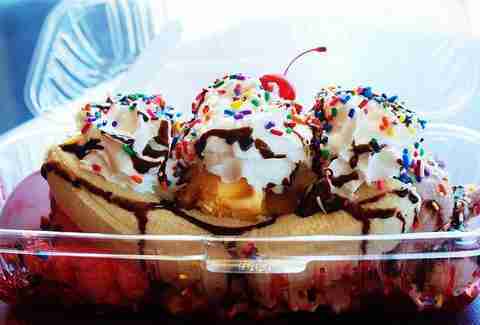 That said, it’s worth venturing outside the cooler to try the piñon ice cream, or one of the baroquely decorated, syrup-striped shakes. The Tamarind Apple -- a candy apple coated with spicy sour tamarind syrup -- is a must-try for those with adventurous palates. The place is cash-only, though, so remember to stop off at an ATM on your way. Liquid nitrogen ice cream might sound like the kind of dehydrated astronaut dessert (or science experiment), but the Ching sisters are here to challenge your preconceived notions. Made from locally and sustainably sourced ingredients, the ice cream at Spun is frozen at -321 degrees, giving it an ultra smooth, almost mousse-like texture. You can’t go wrong with the daily specials, like the Campfire Sundae: sweet cream ice cream topped with graham cracker crumble and toasted meringue, served in a salted chocolate shell. Gelato, coffee, and cocktails form the backbone of the menu at Gelateria Gemelli, proving that good things really do come in threes. It’s hard to beat a small scoop of the perfectly balanced gelato here, available in flavors like olive oil, salted caramel, Vietnamese coffee, or the absurdly refreshing blackberry bay leaf sorbetto. 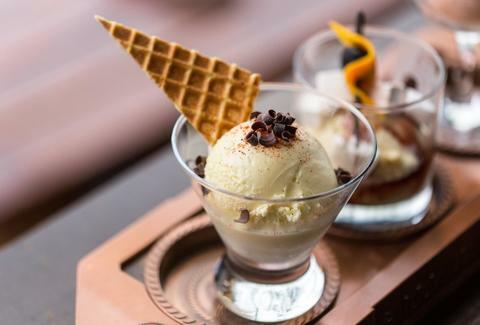 In our opinion, though, the affogato -- a traditional Italian summertime pick me up consisting of espresso-doused ice cream -- is the best thing on the menu. It’s a perfect balance of hot and cold, bitter and sweet, rich and acerbic, and the ideal way to wake yourself up during those long, sweltering Texas summer afternoons. 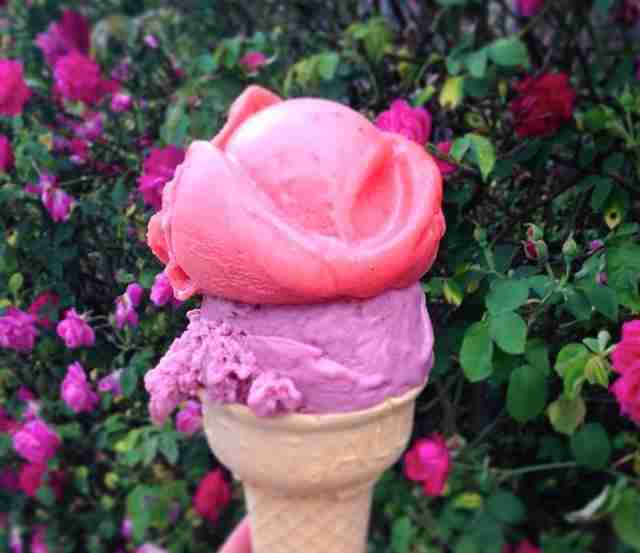 When it comes to frozen goodness in Austin, Amy’s Ice Cream is the queen. AND the king. 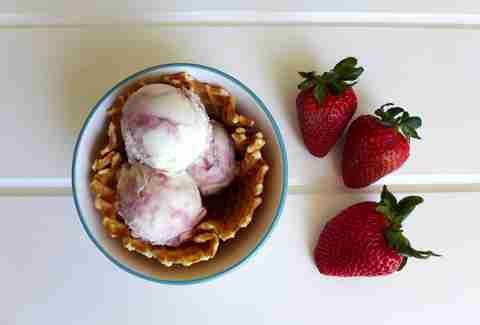 It's best known for its Mexican vanilla, but it has over 350 rotating flavors to choose from. 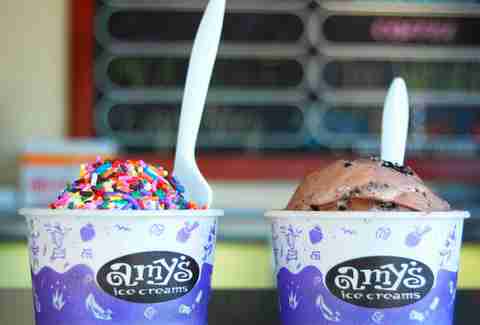 Amy’s started in Austin in 1984 and has now colonized Houston and San Antonio. 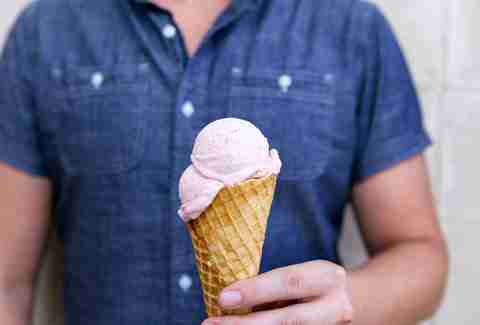 If ice cream isn’t your thing (why are you still reading?) 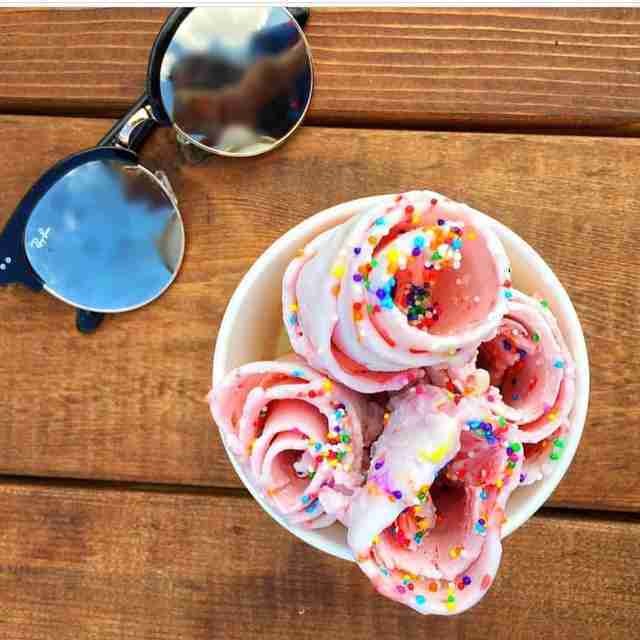 Amy's also has frozen yogurt and fruit ices to keep you cool. Whether you’re looking to warm up in the winter or cool down in the summer, Dolce Vita is there for you all year round. It specializes in gelato and espresso (along with some light bites and sandwiches), using fresh fruits to produce its impossibly rich and smooth gelato (try the pistachio). 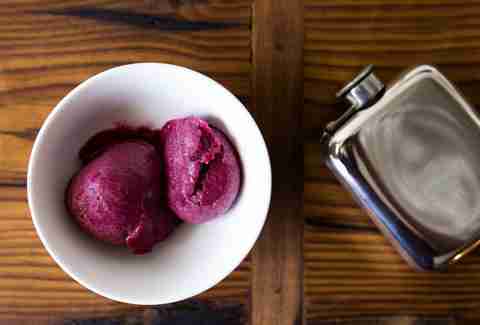 Pro tip: A sorberita (sorbet meets a margarita) is something you want to try. 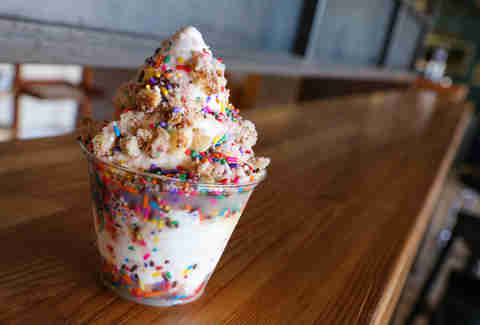 Formerly a food truck in West Campust, Cow Tipping Creamery is now serving up amazing soft-serve ice cream from a brick-and-mortar location in South Austin. You can be boring and get a cone of ice cream with a topping of your choice, or you can get what they call a Stacker: it's like a sundae on steroids, with ingredients stacked (get it?) so you get all the flavors throughout. These cups are a delicious work of art, with inventive toppings like Fritos saltine toffee bark and cornmeal lemon-thyme crumbs. 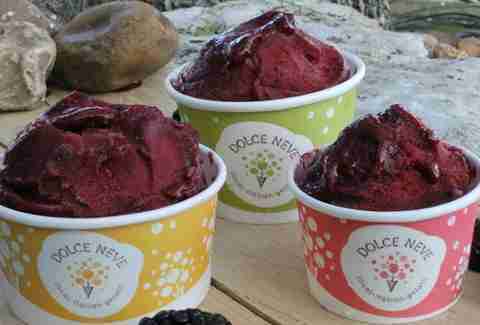 Nestled in a little house along South 1st, Dolce Neve is making amazing and authentic Italian gelato. One of the owners, a Italian native, even attended Carpigiani Gelato University in Bologna, Italy where she honed her gelato-making skills. Luckily, she’s here in Austin now, bringing a steadily rotating flavor lineup, heavy on Italian tastes like mascarpone lemon zest and ricotta honey pistachio. Lick only uses locally sourced dairy and other natural ingredients to make its sweet treats, and all the hard work pays off on the finished product. Complex and well-balanced flavors like dark chocolate with olive oil & sea salt and goat cheese, thyme & honey are both rich and addicting. Lick also successfully employs veggies in flavors like roasted beets & fresh mint, and caters kindly to the vegan folks with several coconut milk-based creations. Located inside of JuiceLand, Sweet Ritual is a haven for those looking for dairy-free ice cream. No longer will your lactose intolerance keep you down! 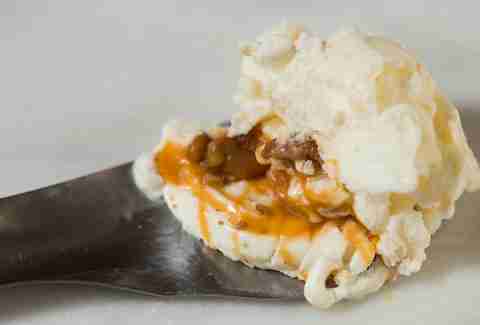 It offers 16 different homemade ice creams that rotate daily, and it's always looking to create new flavors to augment staples like salted caramel and chocolate chai. It may seem like some vegan health alternative but these ice creams are legit and they taste like the real thing. It also makes it easier to justify a second serving. Teo has been turning heads since it opened in 2003. 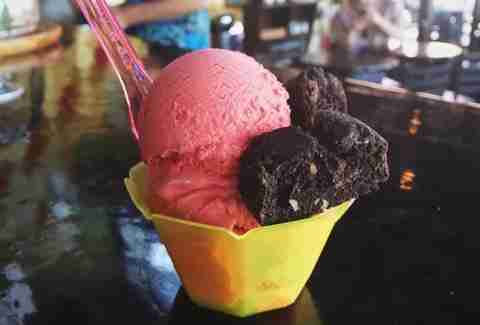 Owner Matthew "Teo" Lee studied the art of gelato making in Italy and has won many awards for his gelato in global competitions. Luckily for us, Teo is based here in Austin. The flavors are as Texan as they come with gelatos like Texas pecan & whiskey, goat cheese & cherry, and Hill Country peach -- but the way they are made is authentically Italian.